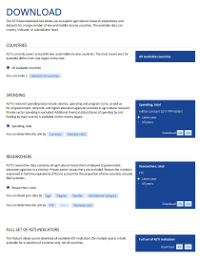 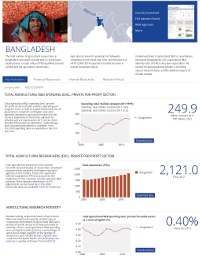 The country benchmarking tool for South Asia, which enables cross-country comparisons and rankings of key ASTI indicators. 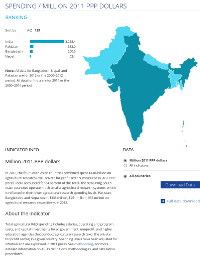 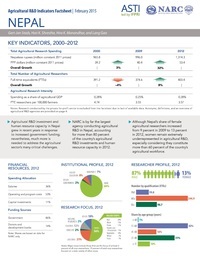 Interactive country pages featuring national agricultural R&D capacity, investment, and institutional indicators and trends. 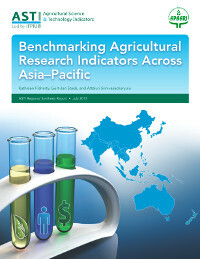 The regional synthesis report, which reviews the major institutional developments, investment, and human resource trends in agricultural R&D in Asia and the Pacific, drawing from comprehensive data collected from more than 300 agricultural R&D agencies across the region.